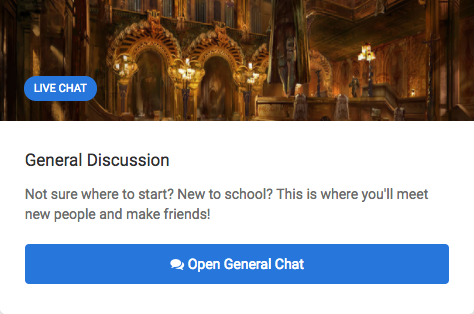 The ‘Hogwarts’ tab introduces us to a whole new way of socialising on HiH, as well as house competition and easier ways to make friends. So, let’s start with the Great Hall, the place to chat, meet new friends from around the world and simply enjoy time with your fellow students! 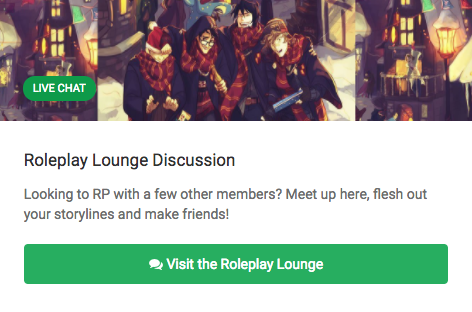 These three chats consist of the Roleplay Lounge Discussion; where HiHers keen on RP can chat as their particular characters and conduct RPs as they go; the Study Table, for students who need help on assignments, are busy studying but want some company whilst doing so, or simply want to discuss classes with one another; and then the General Discussion, for anyone and everyone who fancies socialising with other HiHers. As well as these three chats, there are also three other features to the “Hogwarts” sector - House Points, Leaderboards, and Who’s Online?. These aspects of HiH allow students to view what their fellow witches and wizards are up to in terms of house points, studies and simply whether they’re currently online or not, as well as causing friendly competition in terms of house and student point leaderboards. The ‘House Points’ feature displays the current stats for the four houses, showing their number of members and house points alongside some more of the beautiful site art. You can also view the profiles of the Headmistress Oshiro and Deputy Headmistress Castillo here, giving you more insight to the staff and also information on how House Points are collected and the House Cup awarded. The Leaderboards are a similar set up, displaying the leading students in terms of the House Points they've received for doing assignments. Along with their username, house, year and level of points, a link to their profile and profile picture are shown, giving us a chance to admire and appreciate the hard-working students currently at the top and befriend them in the process. There are different leaderboards for different school years, as well, currently spanning up to Year 4. Most of the students found here are veteran HiHers, but the leaderboards are updating rapidly to show fresh HiHers rising through the ranks! 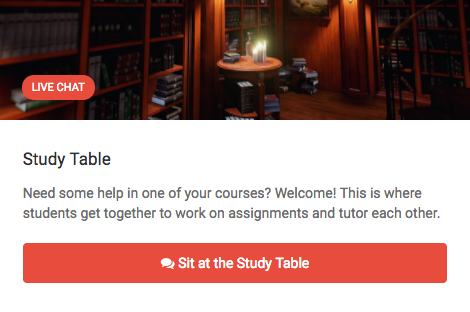 So there’s a high chance, with some dedicated studying, you could find yourself on there! The final feature to the “Hogwarts” sector is the Who’s Online? feature, which is a simple, efficient display of all the HiHers currently on the site at the moment you are viewing it. This is a great way to check if your friends are on, or to add people whose profiles you couldn’t find elsewhere. It can be very useful in the first instance, I have learnt - especially when your friends are lurking and you can’t find them!